Tom Clancy's The Division 2 is ranked in the 90th percentile of games scored on OpenCritic. Despite the relatively mixed reception and rapidly dwindling player base post-launch, Ubisoft stuck with The Division and eventually built it up into a rewarding and diverse RPG shooter. It really does feel as though the studios that worked on The Division 2 have taken the feedback to heart and have poured it into the sequel, enhancing almost every aspect we've experienced. Overall, even though The Division 2 has some less exciting points and enemies are essentially just re-skinned and buffed up as you progress, I’m having a ton of fun with it. It feels complete and like it was ready to be released. Lets not sugar coat it. The Division 2 is an excellent example of what a games company can do if they try. While I think Ubisoft have dropped in some really bad games over the last few years filled with bugs. This however for me is not one of them. Yes, I had one or two issues launching drones and turrets but since the last update I haven’t had any so I’m happy. Reviewing this game was a joy and I will carry on playing this game probably long after my friends have stopped but I don’t care. I love this game and accept it for what it is. A cover to cover shooter with an absolute mountain of activities and content. The formidable game content, mesmerizing graphics and comprehensive weapon system makes TD2 fun to play. Ubisoft has done fabulous work and brought many upgrades from the last game. The Division 2 is surely the game that fans of The Division wanted to play and that Massive Entertainment wanted to deliver the first time around. Good things come to Division agents who wait. Since its announcement, Massive and Ubisoft have said all the right things about The Division 2, from a wealth of content to a robust endgame. For once, it's refreshing to see the reality be more than mere words as The Division 2 sets a new standard for the genre. This is the high bar "games as a service" should aspire to. 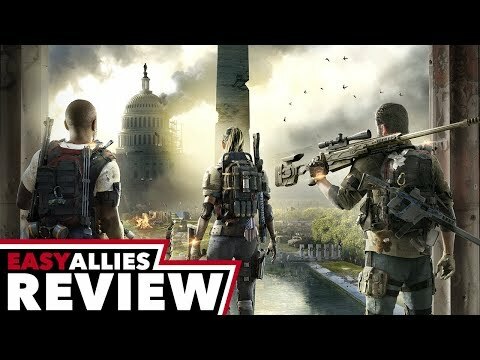 A great game with fantastic world building and gameplay, The Division 2's most egregious issues can easily be fixed during its lifetime. Even though its a few weeks post-launch, it's hard to truly emphasize on how absolutely massive Tom Clancy's The Division 2 actually is. It's huge in scope and size. There's more to do than I'd experienced in previous loot shooters and dungeon crawlers alike. When it comes to how a looter shooter should be executed ahead of its launch and at launch, Tom Clancy's The Division 2 is the poster child when all things are said and done. The Division 2 expands every element of the original and provides an absolutely massive world that's filled with content. Tom Clancy's The Division 2 is the best game of 2019 so far and another masterpiece by Ubisoft in this generation. Thank to it's beautiful mission design, amazing atmosphere, handy gun play and also using different skills, tactics and RPG elements can make you love the new ubisoft game. The Division 2 is easily one of the best MMOs ever made for any player with any taste, either you play it solo or team-based. With "The Division 2" Ubisoft has created a detailed and motivating Loot-Shooter, which doesn't allow any objections concerning the game feeling. 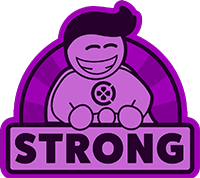 The sophisticated character and combat system as well as the exciting PvE and PvP matches provide nice entertainment and give the title the right amount of tactics. Diverse missions and side tasks provide a welcome permanent occupation and raise the replay value to a high level. With "The Division 2" you have taken the wishes of the players to heart and created a successful sequel. The Division 2 has given me something in a game that I haven't experienced in quite some time: an enjoyable and compelling leveling process and an endgame that has a dynamic nature to it. With an incredibly robust feature set and massive swaths of content ready for the launch window, as well as an extensive roadmap on the horizon, The Division 2 raises the bar for how a sequel should launch. Only a handful of minor bugs and hiccups remain, but none of them hold this back from being the best team-based shooter we've played in a very long time. Massive Entertainment has a massive hit on their hands, and we can't wait to see where it goes next. The Division 2 offers a fantastic loot-and-shoot experience, and one that doesn't actually make it feel like a grind to get to the Endgame, where all the good loot is. The story is serious enough to make tasks memorable, and the side content is fulfilling and contributes to the game's progression. The Division 2 in its entirety is a technical masterpiece, a game that's tactics shine the longer you stay without the usual genre contaminations. No matter how you felt about the first game, The Division 2 is likely to please players on all sides of the conversation. Ubisoft has taken criticisms to heart, and made changes that capitalize on the series' potential in ways the first game never did. As a first step towards a future of more live service content, The Division 2 already feels amazingly complete. It works from day one, its various systems are staggeringly deep and its combat is in a class of its own. Everything else that's still to come over the next couple of years? That's a satisfying cherry on top of an already massive sundae of excellence. So far, the game feels like it's great for solo players. In developing The Division 2, Ubisoft has taken what worked from the first game and listened to fans, creating a follow up that’s captivating and densely packed with things to do. If you like third-person shooters or love loot, it’s a must-buy. The Division 2 is pretty to look at, detailed and mechanically strong. It's extremely content heavy to the end and more importantly beyond the end. It is the top of the line looter shooter of choice right now and it raises the bar for the genre. Its story and voice acting are disappointing and it has a couple of small design flaws, but they hardly make a dent in an otherwise brilliant game. The Division 2 is a product of years of love, labour and listening, iterating and reiterating on what worked in the previous game, and adding and changing based on developer and community feedback. Everything feels polished and thought out, making you come back for some more. Like all games-as-a-service, it’s only going to get better with time. Unlike most recently, it’s already a great video game which leaves me very excited for what’s to come. The Division 2 is a substantial evolution on the mechanics of the first game, with a more immersive world to boot. This is an impressively complete game, with heaps to offer players across all of its content prongs and a level of polish that belies the size of the game's open world. After more than 200 hours with "The Division" and more than 100 hours with "Ghost Recon: Wildlands", it was somehow clear that I would plunge into the world of "Tom Clancy's The Division 2". And so I ended up in Washington and at the beginning was very impressed by the visual difference to New York from its predecessor. Alone the very different animals that whiz through the streets. From time to time I felt like in the movie "I am Legend". To tell the story and move it to another city is a good idea. Unfortunately, the story is told as slowly as in the first part. It is only a means to an end. Of course, they have retained the familiar mix of cover shooter with RPG. Also, the different weapons and equipment can be modified again. It has been adjusted a bit, but personally I find the whole mechanics behind it easier. The variants are just as varied. New are the three specializations, which can be played from level 30. Also well-known is the Dark Zone. There are three parts of this PVE-PVP area in the city, where you can dust off great loot, but bless your time just as quickly. But this time there is also a pure PVP section with two game modes and an integrated clan system. Unfortunately, there is a lot to complain about technically. The textures reload and there are some bugs. The opponents AI has been improved compared to the predecessor, but nevertheless there are occasional dropouts. And why is my character dumb? Could not you hire a speaker to make my character look livelier? And why do not team members see waypoints from others? Nevertheless, the game is an improvement over its predecessor. It is a lot of fun to loaf through the streets of Washington alone or in a team. "Tom Clancy's The Division 2" is a great successor and certainly one of the best buying options for fans of cover and loot shooters. Let's see how many hours I get here. Ubisoft just nailed it. Tom Clancy's The Division 2 is the loot shooter you've been waiting for. Great Game. Defining Tom Clancy's The Division 2 as a "more of the same" is certainly unfair, but we have to say that the innovations introduced by Massive Entertainment are grafted onto the already proven mechanics of the previous incarnation of the series. Compared to its direct predecessor, the latest game developed by the Swedish studio already offers an impressive amount of content. 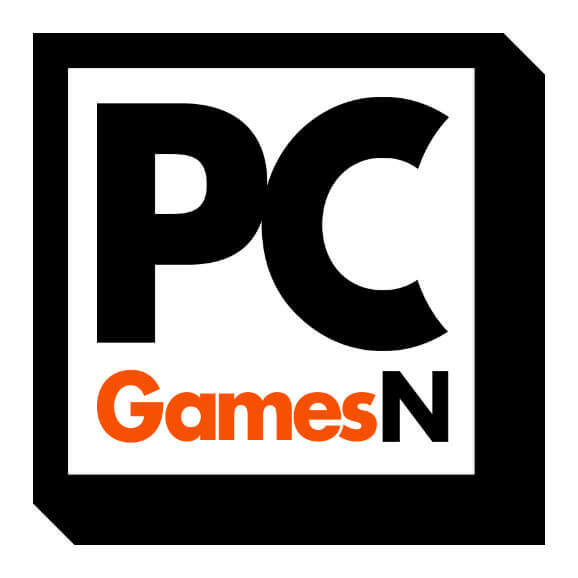 The lack of a consistent plot and a poor optimization on PC are the only issues worth noting. This is however an excellent exponent of the "looter shooter" genre, surely the only one presenting itself in the most complete form at launch. The Division 2 presents itself as a thoroughly polished loot shooter with meaningful detail improvements. The Division 2 takes a step forward on the original in just about every area. After spending three years effectively processing the community feedback of the first chapter, Massive Entertainment has put together a fun and well-rounded play package that leaves behind many of its predecessor's flaws. The shooting and looting of The Division 2 each are strong enough on their own that a lackluster story and proliferation of glitches aren't enough to sour this trip to America's capital for a bit of R&R in the Dark Zone. Many of the positives of the orignal have been captured and bundled with a host of improvements, yet The Division 2 still feels like more of the same. Taken on face value this might sound negative but as the original helped the hours pass by, and the sequel matches this, and you start to realise this is another great game from Ubisoft. Built on the core shooter gameplay, the cover based combat is fast paced and explosive – without being too over the top. The Division 2 keeps an impressive number of plates spinning while skirting clear of the soulless live-service void. It isn’t perfect by any means, but Massive has done a remarkable job of making a potentially messy experience feel uncommonly holistic. The Division 2 is almost certainly a step up from its predecessor, offering more content than you can shake a stick at and enough tweaks to make it feel somewhat fresh. 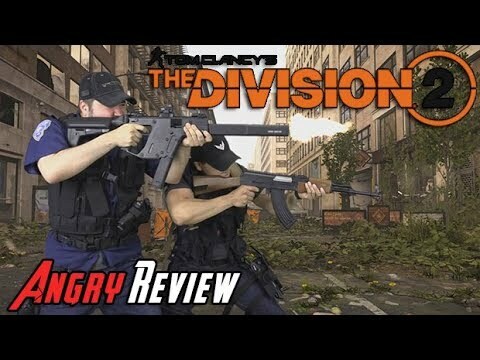 While Massive has attempted to rectify the issues of the original, it hasn't quite managed that yet: yes, enemies are still kind of bullet-spongey and the missions can get quite repetitive after a while, but aside from that, The Division 2 is an impressive follow-up, building upon what was already a solid foundation. 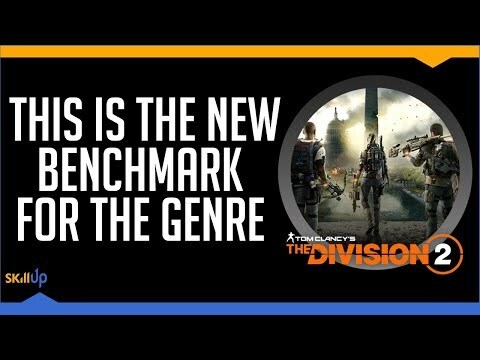 While The Division 2 may have some things that still need fixing, it’s a work of testament for the team at Massive Entertainment, showing that they’ve learned from previous mistakes (for the most part), and that they’re ready to move forward with the model that players rightfully deserve. Tom Clancy’s The Division 2 expands the established gameplay mechanics and the world from its predecessor with amazing endgame content and lots of surprising enemy variety that was missed in The Division. Sadly the story sinks in the crowd of countless objectives and new content, which together with some gameplay bugs and glitches doesn't let the title reach its full potential. Ubisoft Massive learned from its errors in creating The Division 2, which is somehow similar, but bigger and better for the most part. The Division 2 is everything a player could want in a sequel. It reinvents and recalibrates where it must, but it also wisely builds off all the work Ubisoft put into refining the first Division. This sequel definitely makes you work for your rewards, but its fine-tuned gameplay and expansive suite of different activities ensures the journey towards earning those rewards is one worth taking. Tom Clancy's The Division 2 is without a doubt a very good game. Concept and mechanics introduced by its predecessor are almost identical, but now even better. If you enjoyed the first game, you will be certainly satisfied with the sequel too. Tom Clancy's The Division 2 is the ideal sequel for those who enjoyed its predecessor. It builds on what worked, changes what didn't, and delivers a great new map to explore. Though not completely flawless launch, The Division 2 is an amazing game. Running through sunny Washington from one mission to another and the content of which is almost no different from the first installment. That's not something every player would devour. On the other hand: the game full of action, rewards and content for dozens of hours is the right recipe for a good time. And The Division 2 has managed to show that its concept, which does not change in any way, can be improved and also that developers are able to prevent most mistakes made in the first game. Still you will be stranded on the crossroad to decide whether the second part of this endless fight is the right choice for you. The division 2 offers many enhancements over the first game. End Game content especially is very well done and a lot of fun. The end result is a loot shooter far more confident and coherent than what we've seen before. Ubisoft Massive has learned from past mistakes, side-stepping those same pitfalls to deliver a sequel that feels dense without becoming tangled. There are still some rough edges and the burden of carrying a limp story but, ultimately, The Division 2 triumphs over everything else this genre currently has to offer. Tom Clancy's The Division 2 raises the bar for the looter shooter genre. Put simply, it is the complete package. 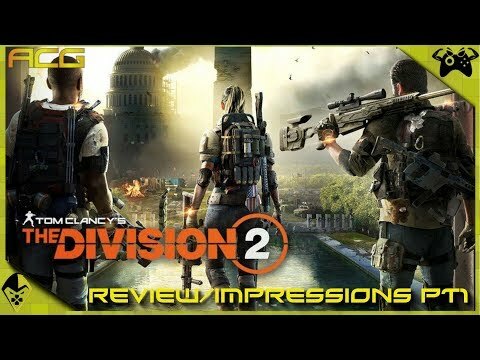 Tom Clancy's The Division 2 is good overall with some shortcomings. Despite a few setbacks, The Division 2 is a good sequel ever since day one, and should become even better in time. It seems that there wasn't any content cut from the final version, which is by no means self-evident nowadays. If you didn’t like the first game, you probably won’t find anything of interest here… But we recommend you gave it a try anyway. The design of the city is superb and combat is genuine fun. All of the good traits from the first game have been amplified, and the changes feel like better implementations of the original ideas. The endgame content is substantial, and the introduction of classes so late in the game changes things enough to make the experience feel renewed. Add to that the promise of lots of free future content, and you have a loot shooter that is well worth your time. one of the most enjoyably co-op looter shooter experiences in 2019. DC open world is filled with main and side missions, in addition to Dark zone mode that is now more fun and fair due to Normalization policy. Finally, endgame content adds new depth that push players to keep on playing. At the end of the day, The Division 2 is a fun well-polished third-person shooter that really improves on the original concept. The game looks beautiful and plays smoothly, albeit with a few graphical errors at the start of your login. The gameplay can be repetitive and tedious as the game goes on. With that said, it still may not be enough for players who disliked the first game to give the sequel a second chance. In light of a half-hearted predecessor and a lot of skepticism going in, The Division 2 delivers in what it sets out to do. It's an exciting third-person co-op experience with the run and gun of the original capitalized on in the best way possible for the current generation. With a decent end-game experience, The Division 2 becomes much better than its prequel, and I believe it's even better than Destiny 2 and much superior to Anthem. However, the PS4 version has been suffered a serious Bug which repeatedly crashes the game since its initial release day. The game doesn't rely on narrative reasons to entice the player, leaning instead on endorphin-releasing gameplay hooks. Right now, The Division 2 stands strong as an addictive, well designed, and complete looter shooter. For how dynamic and intricate it is, its open world sets the bar for the genre, and its tense, tactical combat is, for the most part, a real joy.